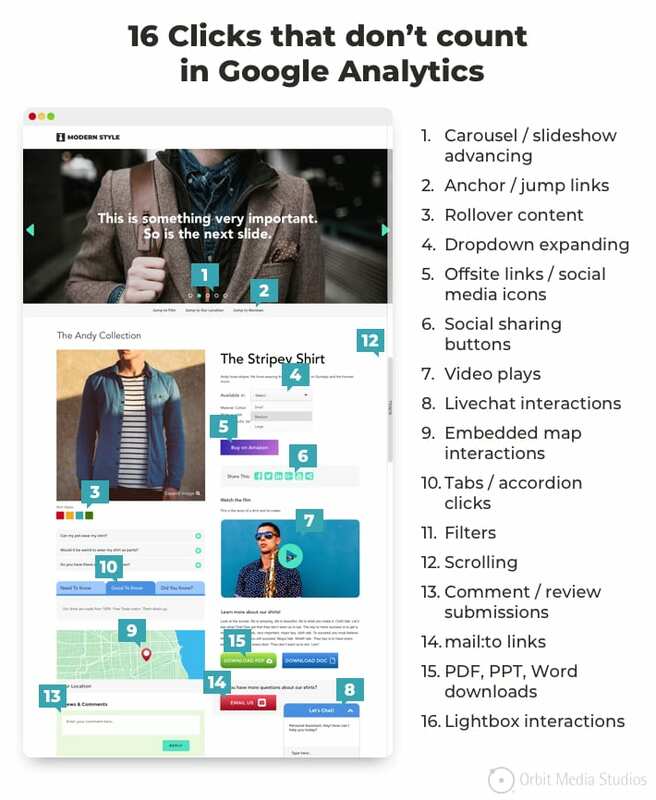 If you have Google Analytics set up on your website, you are one of the tens of millions of websites using the most popular analytics tool on the internet. This post and video may help you confirm that it’s set up properly. If you don’t have it set up, you are just 52 clicks away. Here’s your complete guide on how to set up Google Analytics quickly for the most accurate reporting possible. 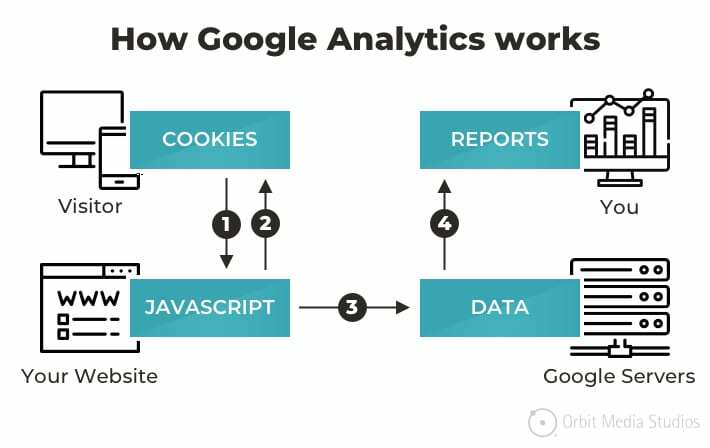 How does Google Analytics work? What does it track? By default, it doesn’t track anything except when pages load. So any “non-pageview interactions” is not tracked unless you use “event tracking.” But that’s a topic for another article. Here’s a quick list of 16 types of clicks that aren’t recorded in Google Analytics. There’s a lot it doesn’t know. But it’s still a good way to track visits and visitor behavior. And how much does it cost? Nothing. Google Analytics is free. So let’s get GA set up right! And for fun, let’s try to do it all in 52 clicks. Easy peasy, right? Let’s go. 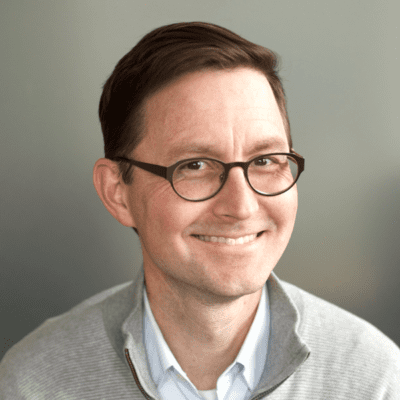 For years, marketers added GA tracking code using a plugin in their content management systems. Today, the best way to add (and manage) the code for Google Analytics (and every other tracking tag) is Google Tag Manager. You put the Analytics code into your Google Tag Manager (GTM) container, and add the GTM container to your website, usually by using a plugin. You can find details here. When a visitor takes an action, they “convert” into a lead, subscriber, registrant, job applicant, donor, etc. Each conversion is a success for the brand and the website. But because websites are built in different ways, Google Analytics doesn’t know what success looks like. So we have to tell it. Note: We’re going to create “destination” goals, which are thank you pages or receipt pages for ecommerce. If visitors who take actions see a thank you message, rather than a separate thank you page with it’s own URL, setting up goals won’t be so simple. You’ll need to set up event tracking. There are at least 14 other good reasons to have thank you pages. Under “Value” switch the toggle to On and assign a monetary value to your goal, even if it’s arbitrary. Setting a $1 value for each goal is perfectly fine. Under “Funnel” switch the toggle to On. Click “Save” and you’re all set! Note: All kinds of things can be set up as goals in Analytics. For example, a visitor spent five minutes on the website or a visitor visited three pages. I recommend against creating these types of goals unless you have a strong reason to do so. If you create lots of these less important goals, your overall conversion rate becomes meaningless. Visit your site and that visit is recorded. You’re in your data. But you can filter yourself out by telling Analytics the IP address of your office. This is especially important for low traffic websites, where traffic from the website owners may be significant. If you don’t have this memorized (who does?) find it just by searching Google for “What is my IP.” Just copy and paste that number into the box. To confirm the filter is working, go to a deep, rarely visited page than look at the Real-Time report. See a visit to that page? If no, the filter is working. Once in place, Google Analytics will forever be more accurate. You can do things like test your contact forms without affecting your conversion rate. Note: An IP address filter only works if the IP address of your network doesn’t change. If your office or home network doesn’t have a “static” IP address, then your network is grabbing a new IP every time you connect to the web, and the filter won’t work. Also, if you move offices, change internet providers or reset your router, your IP address may change and you’ll need to update your filter. Why exclude traffic from robots and spiders? Because they aren’t your target audience. They aren’t even human. There are a lot of bots out there. The IAB/ABC keeps a long list of them. By default, Google Analytics tracks them as if they’re people. I think that’s weird. That’s it. Your data is now more accurate. Tip! 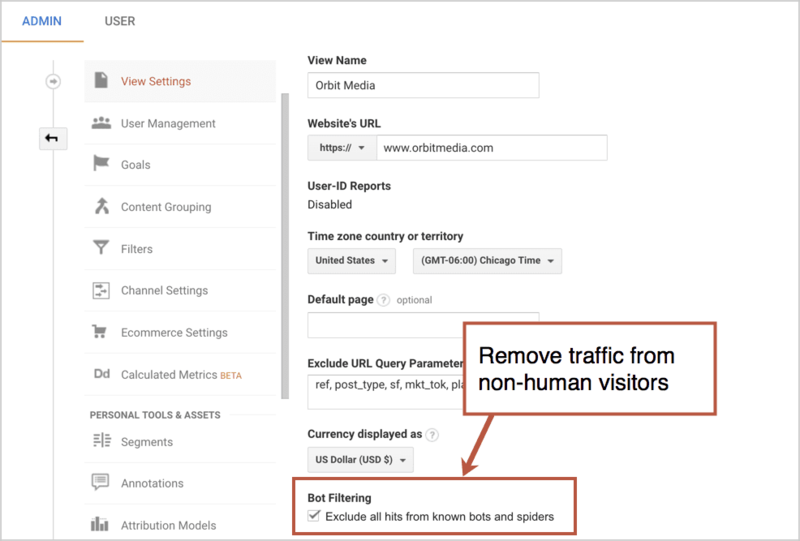 Before removing bot traffic or filtering out traffic from your office, make a new View called “Unfiltered” so you can have something to refer back to if necessary. Once traffic is filtered within a view, it can never be changed. That little search box on your website is a nice way to help visitors find things fast. But it’s also a powerful listening tool for you. If you set up the Site Search reports, you’ll learn what people are looking and if your site is missing important content. Step 4: Now enter your “Query parameter” into the box. To find your query parameter, search for something using your search tool and look at the URL of the search results page. It will appear just before the keyphrase you searched for. 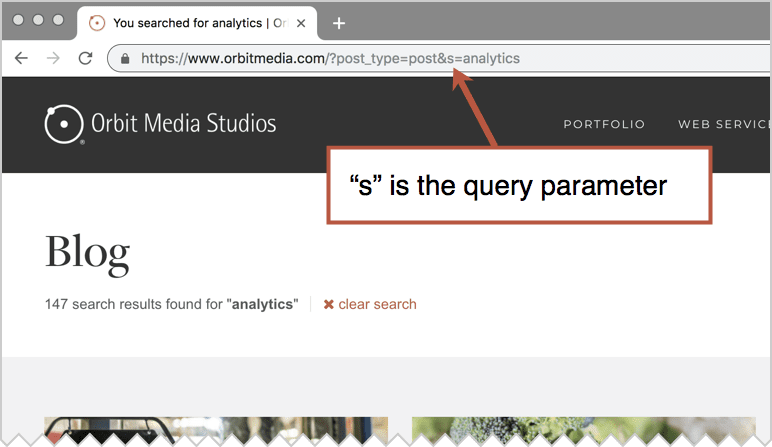 For example, a search for “Analytics” on this blog, shows this in the URL: https://www.orbitmedia.com/?post_type=post&s=analyticsSo for this site, the query parameter is the letter “s.” Other common query parameters are q, search_term and keyword. Don’t see a query parameter when you search your site? If so, you may have “path based” programming behind your site search. You’ll need to set up a fancy advanced filter to see what people are searching for. 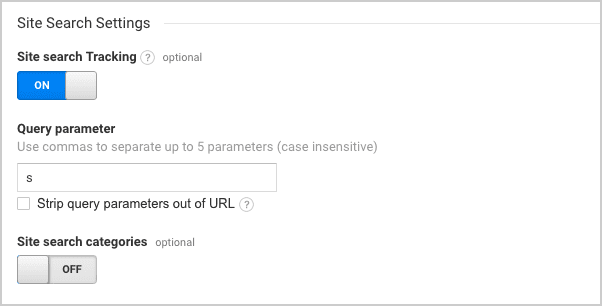 Step 5: Leave the box next to “Strip query parameters out of URL” unchecked and leave the “Site search categories” toggle off. Step 6: Click “Save” and you’re good! Once set up, you are minutes away from discovering if content is missing from your website, if something is hard to find and if your navigation labels are confusing. This report is also a gold mine for new blog post topics. Related: How to analyze the Site Search reports. Google Search Console (GSC) is the sister tool to Google Analytics. It’s a valuable source of search-related insights. But the reports are a little harder to read, so it’s nice to connect the two so you can see the GSC data right there in your GA.
Once connected, you’ll get a set of reports in the Acquisition section. These reports show you the performance of your website in search engines. If these two are not connected, these reports are blank. Step 3: In the “Search Console” section, click the “Adjust Search Console” button. Step 4: From the dropdown, select the Search Console view like to associate with your Google Analytics account. Note: If there is no dropdown, click “add” which will send you to GCS. As long as you’re logged into an account with access to the GSC property, select the relevant account then click “Save.” Once you get the Add association popup, click “ok.” This should take you back to Google Analytics. Once complete, the data won’t appear immediately. Check back later to find insights and then do some amazing blog optimization. If you’re in a hurry, all the same data is waiting for you in Search Console. This isn’t a one-time setup task. It’s an ongoing behavior. But it’s as important as everything else on this list because it makes your data more accurate and more meaningful. Some of your actions are designed to drive traffic to a specific page through a specific channel. These are called “campaigns.” It could be an email, an ad, an affiliate link or any other effort. If you do a little extra work while planning them, you’re Analytics will be a lot more useful. If you don’t, the visitors you worked so hard for (or paid so much for) are mixed in with everyone else. For example, if you send email newsletters, but don’t track that traffic using campaign tracking code, you can’t see them separately. Those email visitors may appear in direct or referral traffic. Not good. But if you add campaign tracking code, all of those visitors can be tracked separately and every one of their conversions can be attributed properly. You can do this from any URL Builder. Google, of course, has provided one of these, but it’s not the easiest to use. Here’s a nice URL Builder that we use. Copy the new URL with the tracking code appended. Tip! Always use lowercase letters. The source, medium and campaign will appear in Google Analytics exactly as you typed it here. Once complete, all traffic from that campaign will be tracked separately. You can see how engaged those visitors were and if any of them converted. 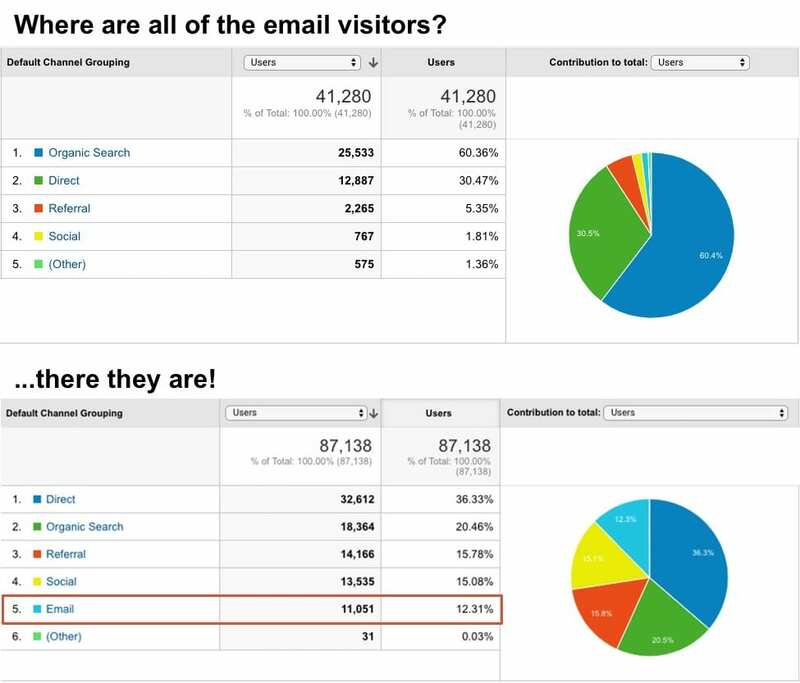 Here’s what the campaign report looks like for a brand doing email marketing. Learn more about how to track campaigns, here is a helpful article from our own Amanda Gant. Warning! Never add campaign tracking code to a link on your website. If you do, the true origin (source and medium) of the visitors who click on this link will be lost, because the campaign tracking code information will override the original source. This makes your Analytics less accurate. And it’s unnecessary. The flow of your visitors is available in other reports. The final step! Let’s add a little note to indicate that we’ve made changes to our Analytics. This way, anyone who looks at this account later can quickly see what happened. Why did traffic go down? Oh look, this annotation says a filter was created. Why did the conversion rate go up? Oh look, this annotation says that a new goal was set up. Annotations help your data tell stories. And that’s really what Analytics is all about: answering questions, finding insights, telling stories. It’s just a little note that you attach to a date. It appears under the timeline of all reports. There are five main reasons to add annotations. Analytics change: changed or added a filter or goal, excluded a query parameter, etc. Advertising change: turned ads on or off, started or stopped recruiting, etc. Press hit / Influencer mention: Someone loves us today! Over time, your account will have a lot of these little notes. So here’s a tip for making them easier to scan through: start each type of the annotation with a few standard words. Use the bolded words from the list above as a simple naming convention. It will make things easy to scan through and find later. We did it! We set up Analytics in 52 clicks, but who’s counting? Your actions today determine where you will be in a year. Your Analytics setup today determine the quality of your data and insights next year and forever after. Analytics is more than a scoreboard, it’s a decision support tool. Do it poorly and you’ll be doing a lot of wondering, digging and detective work. What happened? Is something wrong with this report? Great article! 4 and 5 are my favorites and missed all too often. They are critical for accurate data! Nice to see you here, Ryan!! As always, great, no ESSENTIAL stuff Andy! FYI, If you want to knock out about half of the those pesky non pageview interactions you mentioned, might I selfishly also recommend our free GTM container. https://mashmetrics.com/wordpress-google-analytics-setup/ also referenced within your “The New Recipe for Using Goal Values in Google Analytics” post. I have returned to this article several times to tweak my settings. Thanks for making it so easy! I’m very glad to hear it’s been useful for you! Thanks for explaining it with the screen shots. It helps to follow the google analytics steps clearly. 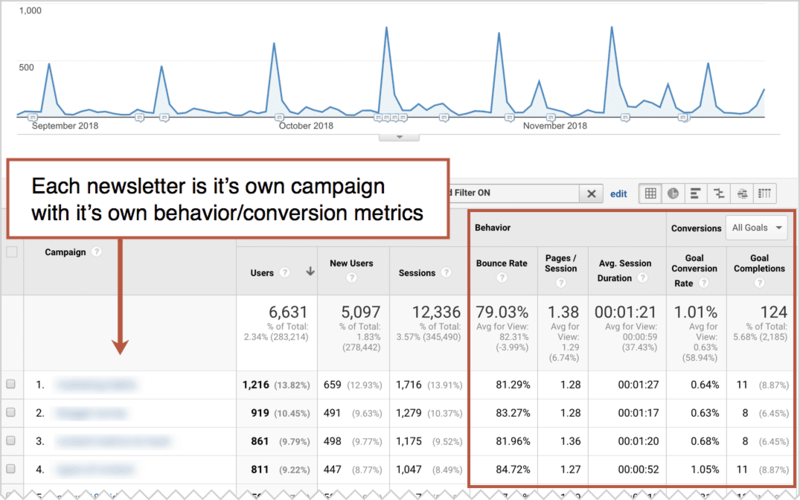 Then what should my goal be so that I can track conversions – meaning how can I tell if people clicked on my teaser and then converted? Good Question Chris, however you may be doing something very wrong. You DO NOT want to use UTM’s for INTERNAL links. WHY? This will virtually erase the last referral (google search) the user came from before then. You would want to use Events to track if users clicked on a teaser on your website. The click event can be setup with Google Tag Manager. 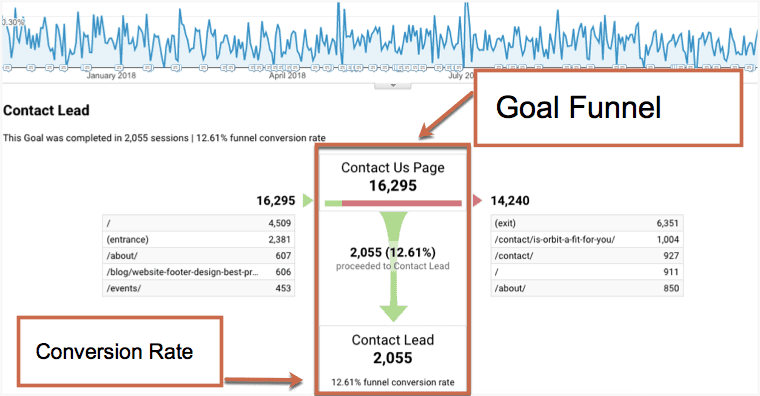 At that point, you can create Goals from those Events in Google Analytics. If possible, you can use the destination url as a goal if it is always same. We use UTMs for banner ads that we give to our agency. Are you saying we don’t set up goals for that? And if we have a teaser on our home page linking to a page we want to track for goal conversion how can I learn about how to set up that URL? Are you saying don’t put any UTMs on that URL and just use the goals? Sounds like we need two separate goals for this particular action. One for the banner ad with UTMs and one for the teaser on our home page? Am I correct? With regards to the 16 types of clicks that aren’t recorded in Google Analytics, are there other strategies that can be used to track videos plays and tab clicks?